The decision to move from being a solo practitioner to starting a group practice is a big deal! The truth is there is a lot involved. There are a lot of things that you'll need to piece together, and it totally changes how you do business. However, putting in that work up front can have huge payoffs for you as a private practice owner. Even though I've done this myself, it might not be for everyone. That is why it is so important to start with "why." While I am a big advocate of people taking some calculated risks when it comes to running a small business, you have to know "why" before you make the leap. Your practice has reached a plateau in terms of growth. You maxed out your schedule and now have a waiting list. During the day, you find yourself lonely working in the office by yourself. Then, of course, there's the money. The truth is that there are only so many clients you can see in a week and only so many hours that you can see them. Eventually, unless you are able to raise your rates, you will max out your earning potential. If you are okay with that, great! Solo practice may be a good fit for you. But if you want to increase your earning potential, you will need other streams of income besides just trading your time for money by seeing clients. Obviously, you can have several reasons to want to move into group practice. Regardless of your reason(s), do be clear and brutally honest with yourself as to your "why." Then build your group practice based on that "why." There is a lot of planning that goes into making the move from solo to group practice. One of the things you will need to think about is how you will have your practice structured. In other words: what business model will you use? Your business model is what defines the type of relationship with you will have with the people in your group practice. For example, will it be more of a partnership? Will it be an employer/employee relationship? Or will it be a contractor relationship? There is no right or wrong way to set this up, but what you decide should be tied to your "why." Another area you will need to work through is the logistics of having a group practice. For example, you'll need the space to accommodate more than one therapist. Will you share an office space, or will each clinician have their own space? Will it mean finding a larger office? Having a clear vision about this will help you know where to focus your energy in these beginning stages. Be sure to invest the time and effort into putting systems in place not only to manage your practice but also to manage those people that are joining your group. You will need contracts and agreements with those people. You will also need to update your paperwork to reflect the changes in your structure. Having the right systems and processes in place will ensure a smooth transition into group practice. One thing I highly recommend is to get guidance and expert advice before you launch a group practice. The laws around partnerships, having employees, or contractors can vary from state to state. Consult with your accountant and/or attorney before jumping in because there are some tax implications and other laws you will need to know about. You will also want to talk with some experts about forming a legal entity, such as an LLC or S-Corp depending on your situation. This just builds in some protection for you personally and your practice. Again, talk with an attorney about this. Ultimately, the timing of when to move from solo private practice to having a group practice is an individual choice. But by having some clarity around your "why," doing some intensive planning, and investing time and effort into systems and processes, you can have a successful and sustainable group practice. Ready for a better EHR? 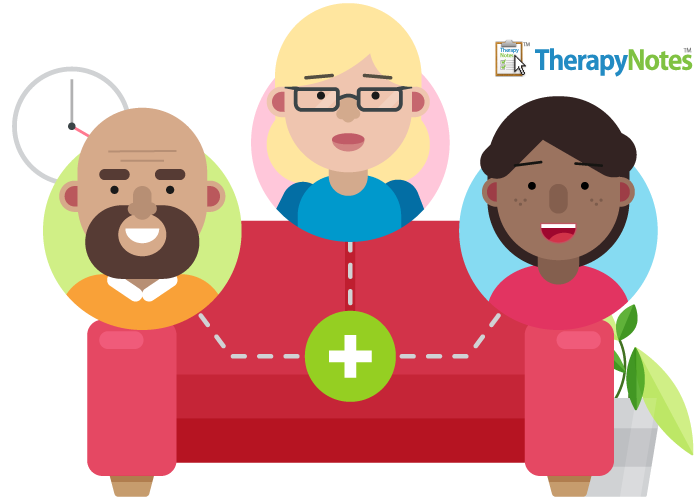 Talk with a member of our Success team and learn how TherapyNotes™ can help. L. Gordon Brewer, Jr., MEd, LMFT is a licensed marital and family therapist and an AAMFT Approved Supervisor. 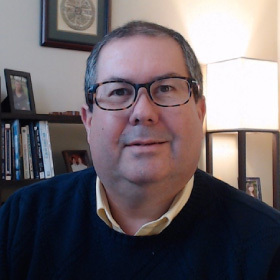 Gordon is the person behind The Practice of Therapy Podcast and Blog, which provides information and resources for clinicians starting, growing, or scaling private practices. Gordon has worked in the human services and mental health fields for over 30 years. He has previously worked in agency settings and is currently in private practice as a therapist. He is the owner of a group therapy practice, Kingsport Counseling Associates, PLLC located in Kingsport, TN. He has also served as an adjunct instructor and internship supervisor at East Tennessee State University. Visit L. Gordon Brewer, Jr., MEd, LMFT's website.